Our activities includes fooding, lodging and health treatment. Come and become a volunteer to help the pilgrims with us. We are helping the pilgrims in Gangasagar and Deoghar. Your donation will help us to serve the pilgrims. To Serve’ or ‘To Help others’ is something which is an inbuilt element of humanity. It can be expressed in many and Innumerable forms viz. serving the nation, serving the pilgrims etc.It is with this spirit only that the trustees of this organisation who were serving people informally through association with different Non-Government Charitable Organisations since last two decades felt the necessity to establish a formal organisation with a defined motive. We got the inspiration to help the pilgrims after geting the blessings from Sri Shivohum Balaji Mandir, Malbazar and then the members who were scattered, finally united under the banner ” Shivohum Balaji Seva Trust ” and is now serving under the guidance of Mrs. Krishna Devi Agarwal (Kolkata) with whole hearted support from members. The spirit to serve the yatris got strengthened with more vigour after facing the terrible conditions & circumstances by the now trust members along with the other yatris .So the members finally united under the banner ” Shivohum Balaji Sewa Trust ” with a goal to serve the pilgrims. We are currently helping the pilgrims in two location Gangasagar and Baidyanath dham, Deoghar but we want to add more location to this list and to help more pilgrims than that of now. Our mission is to add more activities like Free transportation, Free eye check up camp, Free education , Underprivileged girls marriage. We are providing free fooding facilities for pilgrims. We are providing free health checkup for pilgrims. We are providing free accomodation for pilgrims. Shivohum Balaji Seva Trust helped hundreds of pilgrims every year. We are lucky to take a small initiative to help them. Shivohum Balaji Seva Trust helped hundreds of pilgrims every year. We are lucky to take a small initiative to help them.Thanks a lot for the team spirit and your work! The importance of Baidyanath dham increases during the month of Shrawan. 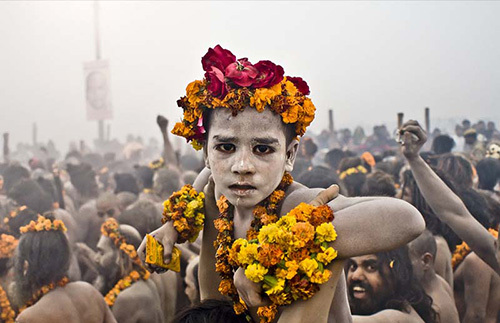 During this period, lakhs of devotees throng the Baidyanath temple. Most of them first visit Sultanganj, which is 105 km from Baidyanath dham. In Sultanganj, the Ganges flows to the North. It is from this place that the devotees collect water in their kanwars and carry the holy Ganges water, with the kanwars on their shoulders. They walk 109 km up to Baidyanath temple at Deoghar reciting Bol Bam on the way. In the winter months, the chardham have been closed for pilgrims in Uttarakhand (except winter seat of Chadham). The huge number of pilgrims turn their path to one of the holiest Ganga Sagar Fair 2017. On the occasion of Gangasagar Mela, our organization held a camp at the Mela area.More than 2 lacs pilgrims were provided with free board and lodging at the camp and in the Ashrama. 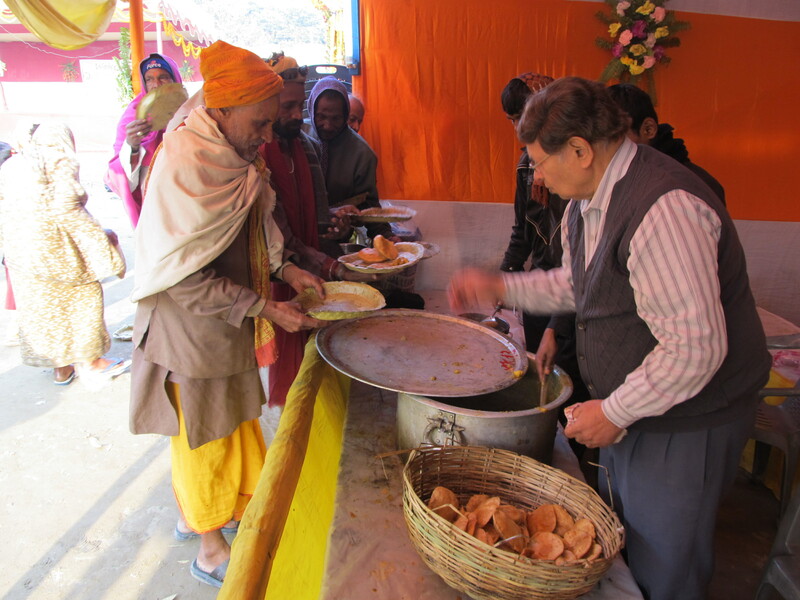 Besides, free meals were served to pilgrims daily. Discourses and devotional singing were also arranged in the camp. The trustees of the ” Shivohum Balaji Seva Trust ” organisation have been serving people informally through association with different Non-Government Charitable Organisations. Then they felt the necessity to establish a formal organisation with a defined motive. The organization is now serving under the guidance of Smt. Krishna Devi Agarwal (Kolkata) with whole hearted support from members. In 2017 we helped more than 2 lacs pilgrims.